When Faalanu Komeli from Gautavai, Savai'i, started her business it was all to do with selling barbecue in Upolu. Unemployed with only her husband and one of her children working, the mother of three was not going to just occupy her time with domestic house chores. 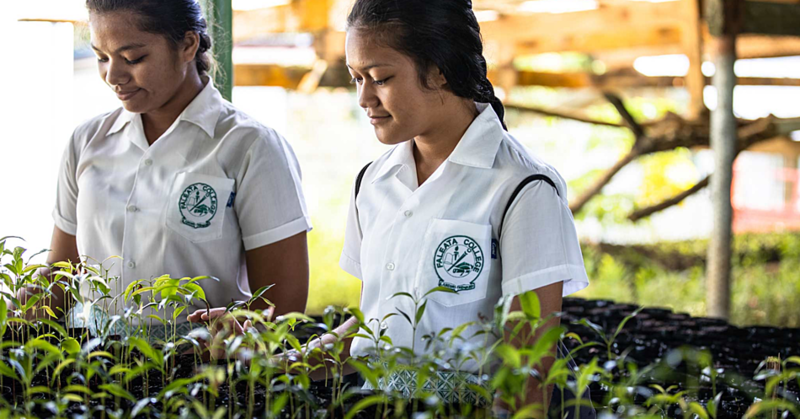 In 2002, she sold barbecue on the roadside with $7 tala a serve before moving to Savai'i where she cultivated a vegetable patch and sold her harvest. She later took a $1,000 tala loan from the South Pacific Business Development (S.P.B.D.) to help her start her small shop. Mrs. Komeli told the business team the money she saved from selling barbecue and vegetables together with the loan grew her business. Mrs. Komeli was part of an all women event, Market Place Exhibition last week, which was organised by S.P.B.D. Microfinance to showcase entrepreneurial success stories of its clients. Her success story is measured with her loan repayments and so far, S.P.B.D. has only lended her once $21,000 tala. “My small shop started with grocery and mechanics because my husband has knowledge of mechanics,” Mrs. Komeli said. “In the S.P.B.D. programme if you are in default for not paying the loan, you will be penalised but for me that’s not the case. “I requested for the loan to upgrade my business. Right now, I have extended my shop to include clothes, cosmetics and kitchenware. 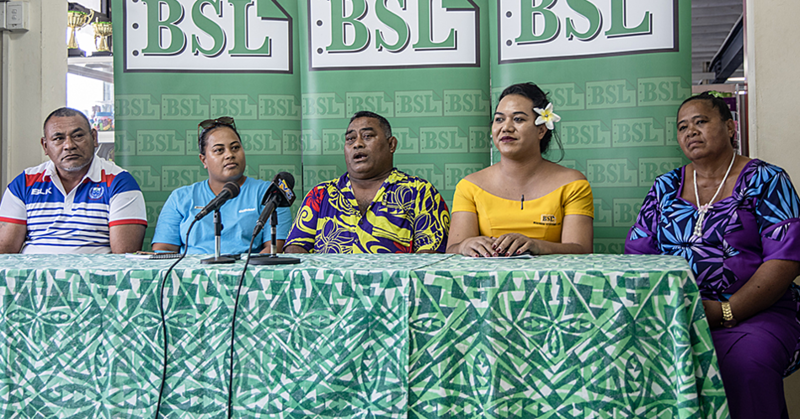 Mrs. Komeli says she makes sufficient profit to cover her expenses and she advises aspiring businesswomen in Samoa to manage their business well in order to reap its rewards. Ajay Verma, General Manager S.P.B.D. Samoa, said: “The exhibition is the testimony that success is nothing but an amalgamation of the right opportunities, expertise and hard work. All our women entrepreneurs here have proven this beyond doubt. 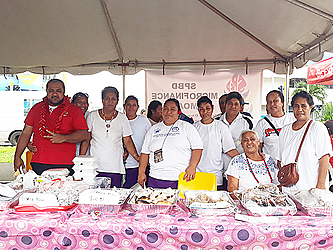 Mrs. Komeli’s group — Gautavai Centre Women Entrepreneurs — managed to sell a lot of their goods they brought with them from the big island and by 2pm, they managed to earn more than $500 tala.